Fine-mist luster spray with CDEpHlex3TM Technology protects hair so finished styles stay glossy and feel fresh and clean, longer. 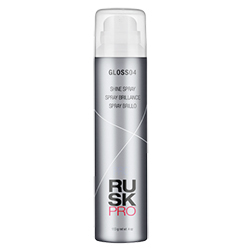 Polishes the hair for a high-gloss finish with ultimate surface reflectivity. 4 oz.